The Design Team has definitely enjoyed putting together a range of projects to inspire you. We are looking forward to seeing what you create. 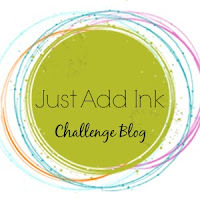 Good afternoon/evening, the Just Add Ink Challenge this week (# 304) proved very challenging for all of us. But as always - it was a lot of fun to see what everyone came up with and how you all used the picture for Inspiration. The Design Team has voted and chosen a Winner. "The cascading brollies are a fabulous effect, so cheery and fun"
"Loved the graphic boldness & fun of Mel's beautifully coloured umbrellas"
"Super fun card and I love the glossy touches to the bright umbrellas"
"Such a pretty explosion of colour, softness and balance"
"Beautiful butterflies, and I love the 'movement' Kelly has created here"
"This gorgeous flight of butterflies captures the eye and imagination!" 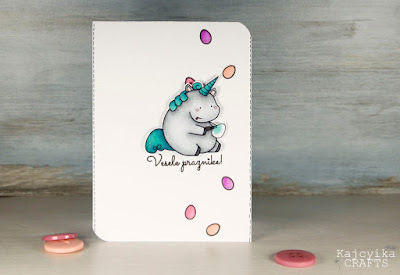 "Love the arty style and technique...Fabulous take on the inspiration"
"I love the concept of this card, and the way Marlena has used colour"
"Great take on the inspiration pic, and use of colour"
Happy Easter everyone and we hope that you will have a lovely holiday weekend. 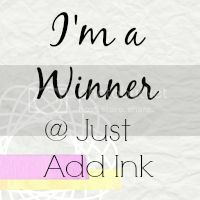 We have a brand new Just Add Ink challenge for you to start it with too! Jodene has found a very fun and colourful inspiration photo for us to use. So much life and energy in those fabulous umbrellas! Just find what inspires you and use that as the starting point of your project - the colours, patterns and textures or elements within. It is time to share this week's winners for our very popular "Just Add...E" challenge! It was fantastic to see so many wonderful and varied entries, making it hard for the Design Team to choose their fave's. Thank you to everyone who played along with us. We love seeing all your creations and you inspire us to try new techniques and ideas too. Love the fresh modern look of this card. Exquisite and sweet card. Love the stitching details! Absolutely love everything about this card! 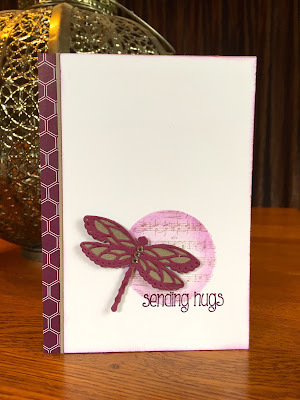 Christine has used wonderful colours and such a sweet image! 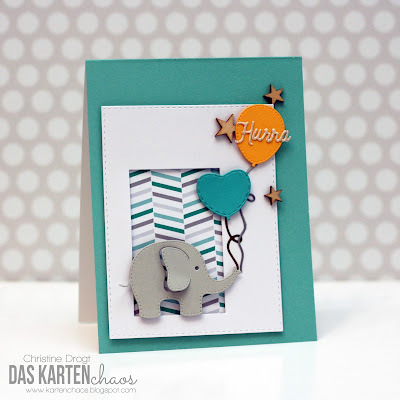 Whimsical & beautifully coloured CAS card. Super cute clean and simple card and I love the use of the bright colours. What a gorgeous card! Beautifully coloured and I love the CAS elements. A fun 'E' card! Love that hippo, and what a vibrant and gorgeous 'water' background for him. A great combo with the heat embossed silver! 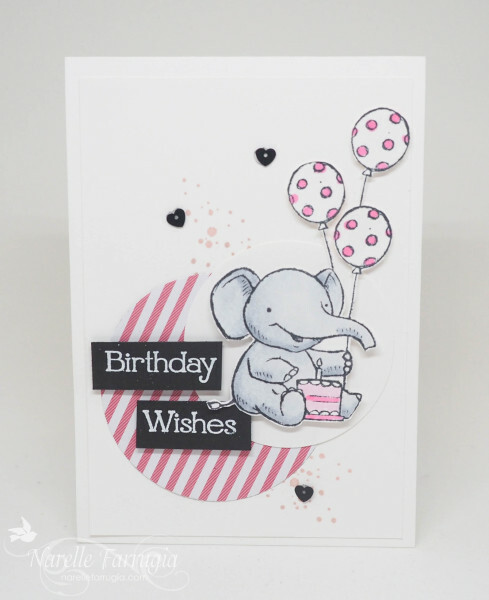 This little guy makes me smile and I just love the colours Tanya has used. Our challenge colours seem to be very popular this week, so many variations of them too. We had lots of lovely entries to choose from when voting, so a big thank you for sharing your inspiring projects, we really enjoy seeing what you create. WOW! What a stunning and elegant card! Love, love, love! Strikingly elegant! I loved Michele's idea to frame the diecuts. Stunning! I love the frame Michele created for these beautiful roses. Love the combination of patterned papers and the touch of gold. Fantastic layering of the stamped images. Love the layout and the pearl and bling finishes. A stunning masked background and I love the detail in her bold pieced butterfly. The masked circle under the dragonfly is fabulous. Such a beautiful focal point, on an otherwise CAS card. The shimmer is eye catching.